The free personal finance worksheets below are easy to use and practical. Hopefully using them will give us a better awareness of our financial situation and allow us to challenge ourselves to improve our finances. Do you have finance goals? You can download the Excel spreadsheets and also have a quick look at the pictures below to see if this what you are looking for before you download. The first one is a financial goal worksheet and the 2nd is for budgeting. The worksheet above is very simple to use. Simply punch in your goals and ideas about how will achieve them. Check that they are SMART (specific, measurable, attainable, relevant, timed), print it off and away you go. 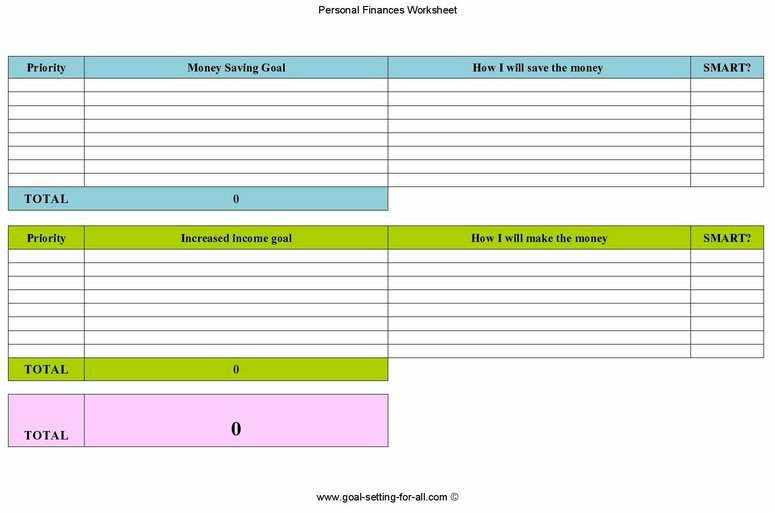 To download the personal finance worksheet above click here. The budgeting worksheet below is all very self explanatory really. This is designed to help us grasp exactly where our money is going to and find out if it is what we expect. This can then set us up nicely to pin-point areas where we can lower our costs. I have left quite a few expenses items spaces empty for any other costs we have that aren't on the list. Simply fill in all expected expenses for the coming month. Check the reality at the end of the month by finding out what we actually spend. Of course, the spreadsheet has formula so totals will automatically update. The notes section can be handy when we are creating our following months budget. Ideas to spend less may help us budget more wisely. My favourite thing about using this worksheet is there is always one or two little surprises or realisations that pop up. I Hope it can be useful for you too. 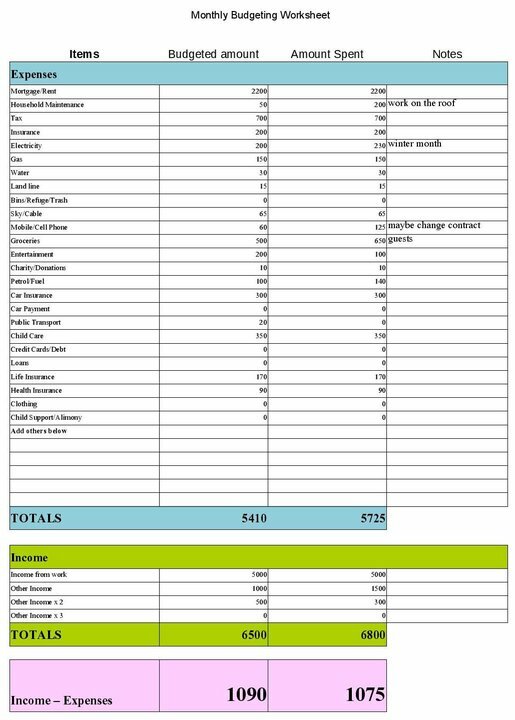 A copy of the budgeting spreadsheet above can be downloaded here.